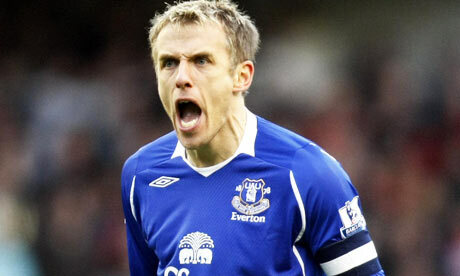 Phil Neville and Seamus Coleman get into an entertaining war of words on Twitter. SC- prob be best selling garys boots pal.. Won’t get much money for yours! PN- hello seamie see ur sub again for the republic tomorrow night!!! PN- sub for ireland-its like being sub for man utd youth team! Although u r a 50k signing from sligo bless! SC- yeah just glad to be here fizzer! Never thought I’d be so lucky! u looking forward to next season.. U must be glad garys retired? Ur family might come watch u on a saturday now! actually they will prob just stay in and watch him on sky sports instead of watching u! PN- does trapp say “run forest run” to u like moyesy does?? r u licking captain robbie keanes arse like u lick captain nevilles? did ur brother play for man utd 600 times pal?? Thought not!! when u upgrading ur caravan to a tent pal? any more lip pal and I’ll get peter walton to send u off again!!!! were u going on holiday pal-isle of man?? SC- why u getting angry pal.. U got got that angry on a match day u would be a great captain!! PN- be careful next season pal-everyone plays sh*t in their 2nd season!!! SC- does everyone play sh*t in there 15 season aswell? SC- you counting ur 10 years on united bench? PN- gone quiet pal u been round to keaneys room to run his bath? SC- u gettin jealous?? I’ll be back to look after u next season pal.. Do I still have to do all ur running tho?? PN- here u r was getting worried keano let u off the lead? keep playing the way u r m8 and you’ll be back playing at widnes wit the reserves! SC- what did u miss last game of season for again.. Toothache?? 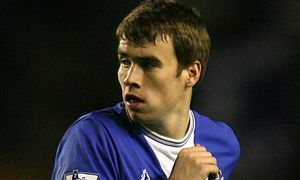 Dnt think big dunc would miss a game cause of his tooth! PN- nice debut benfica away m8-what was the score?? SC- 5.0 pal.. A good captain would have been there to help his players but where were u?? u enjoy going to the world cups with england or was that gary AGAIN!? I’m sure u were proud to watch him!! PN- u like talking about gary m8-got a secret crush? SC-everyone likes gary more.. U should know that by now!! PN- have a great summer pal-reserves report back 5th july! PN- topman come on macedonia!! let’s make a pact pal-no more slaughtering on twitter-i need u-u need me-agreed? Ask keano for permission 1st though! SC- u need me to do ur running.. Why do I need you?? PN- I’m trying to hand u an olive branch pal-do u not want it? SC- I just want to know why I need u? Not a trick question. PN- lads don’t like u pal-so have to protect u! SC- nev dnt start!! Because its you they dnt like.. And I dnt need u to protect me.. I protected u all season! PN- its all about u pal aint it! Good luck next season you will need it! SC- I know I will.. Uv had 15 years good luck! Well done! I know ur missing me really! PN- u licking charlie adams arse now too? Is it captains that turn u on?? SC- hahahahaha good one pal! What a captain he was too.. He could actually pass to his team mates!